Size 14 - $29.99 Only 9 left! 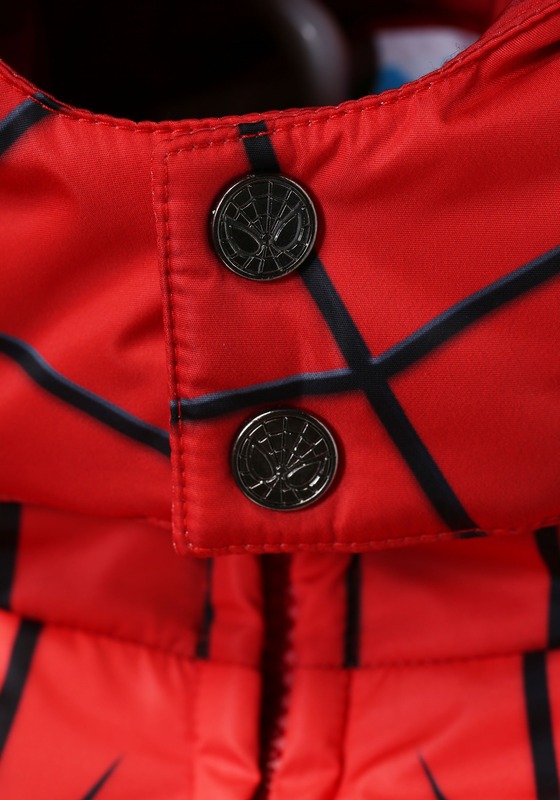 Spider-Man spends most of his days swinging through the New York cityscape wearing a vibrant spandex suit. He saves innocent people from danger and defeats supervillains, wearing that amazing suit, but it’s really not for everyone. 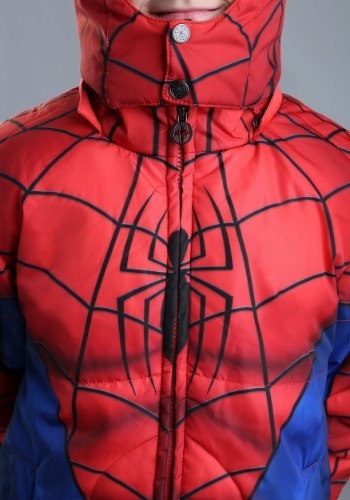 Your child probably shouldn’t be wearing a spandex crime-fighting suit in the middle of the winter, but that doesn’t mean that he should have to give up his dream of being like his favorite Marvel Hero! 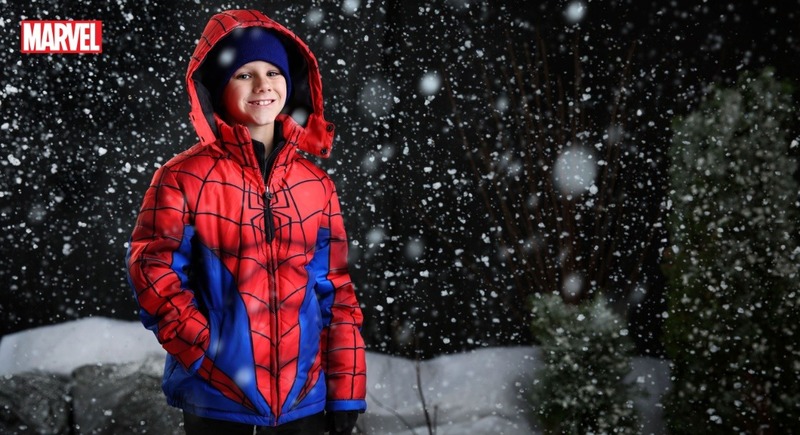 Now, your child can be like a Marvel Hero even in the midst of the chilly winter weather. This child Spider-Man puffer jacket brings a hint of heroism to your child’s winter wear, since it’s designed to look just like Spidey’s iconic suit. 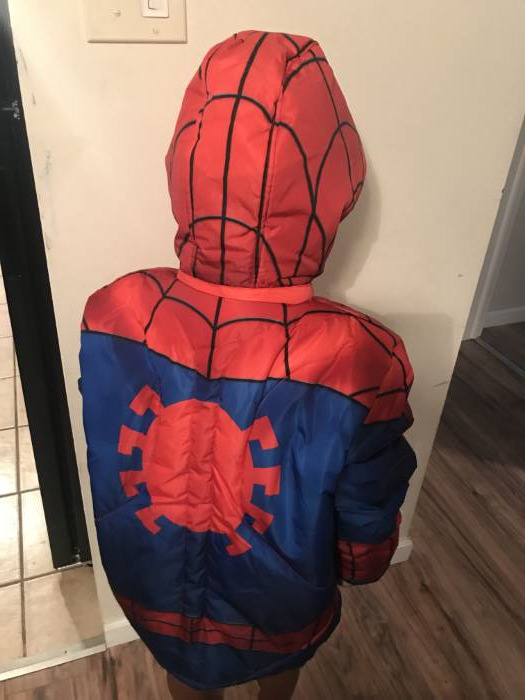 The front has web patterning on the front, along with the Spider-symbol on the chest and back just to make sure that bad guys know your kid is on the job! The jacket zips up in front and has pockets along the waist, making it much more convenient than a spandex suit. 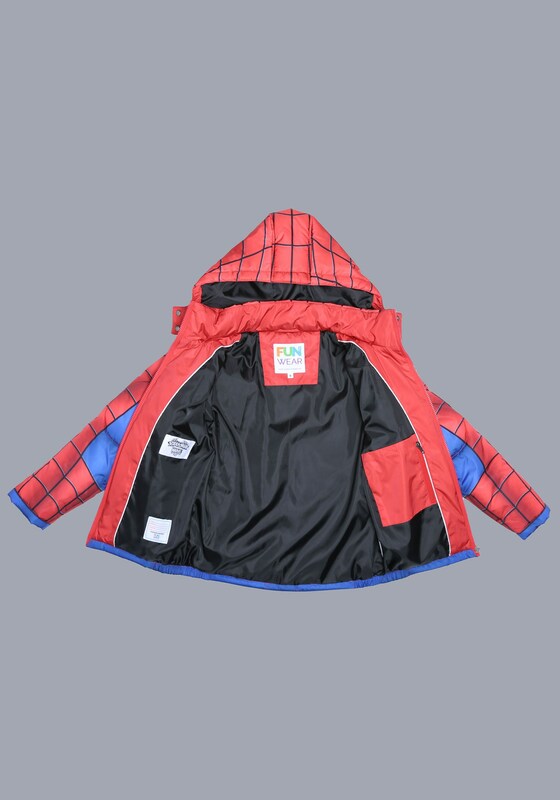 The coat has an attached hood, so you can be confidant that your child will always have a way to keep his head warm. 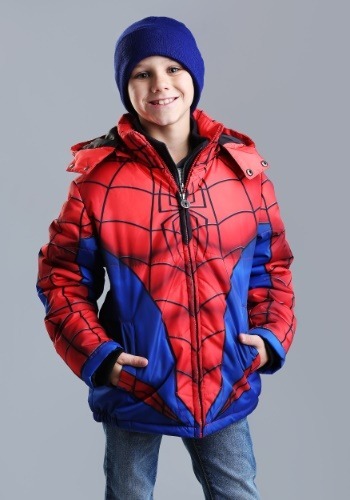 It might not give your kid superpowers, but it will tip the scales in the constant battle of keeping warm during cold weather! Front custom Spider-Man zipper pull. 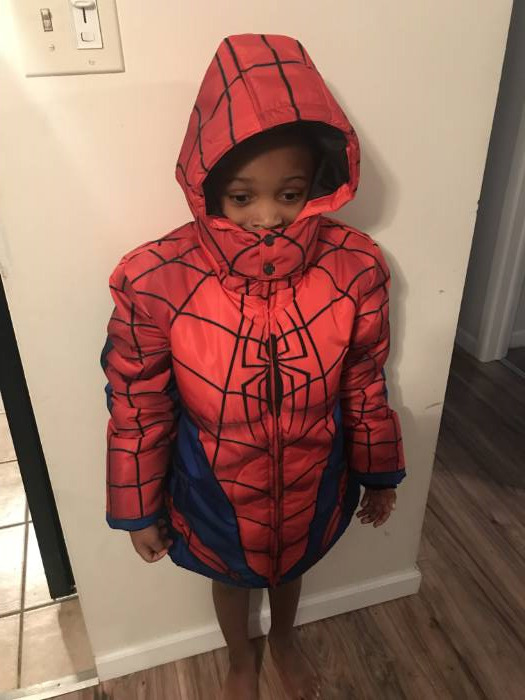 My son loves his Spider-Man coat!!! We live in Ohio where the winters are long and cold! The jacket is very warm and comfortable! I love the design and fit of the jacket. My son wears a size 8-10 but I bought the coat in a size 14 for room for sweaters and his expected growth through next winter. There is not an adjustable waist as described but it still fits without being too loose or too tight. I would definitely recommend this coat! 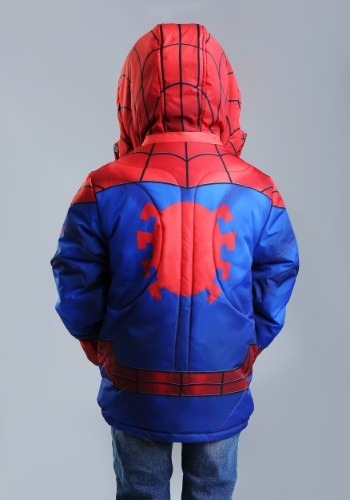 If my son is still into Spider-Man in a few years and they offer larger sizes I would definitely repurchase this item!! Top photo shoes coat fitting without adjusting sleeves as seen in second picture.